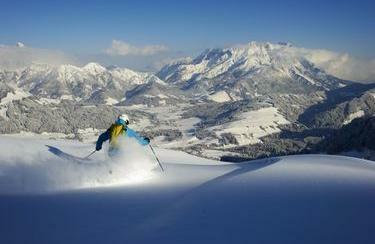 Skiing and snowboarding in Fieberbrunn, located in the Pillerseetal valley, is a real treat. Far from the flocks of tourists, freeriders, powder junkies, freestylers and nature lovers will discover a unique paradise. Why not visit the friendly team at INTERSPORT Rent in Fieberbrunn and turn your holiday into an unforgettable adventure with brand new equipment from the ski rental store. Without a doubt, the Fieberbrunn ski resort is a hotspot for freeriders, hobby skiiersr, lovers of deep snow and snowboarders. Barely visible from the valley and in the back country, you will experinece a vacation of a special kind here: dream-like pistes, charming cabins, lots of nature and a magnificent mountain panorama. The slopes are big enough for carving and cruising and the comfortable lifts are adapted to the size requirements of the pistes. Experience pure skiing pleasure without the waiting times. Families are also warmly welcome in Fieberbrunn. Next to the Timoks Coaster – a summer and winter toboggan run, the easy and moderate runs are perfect for practicing your turns. The proper equipment, even for the smallest snow bunnies, is waiting for you at the ski rental shop in Fieberbrunn. Children up to 10 years of age receive skis, boots, poles and a helmet free of charge, when both parents rent skis or a snowboard over the same time period. 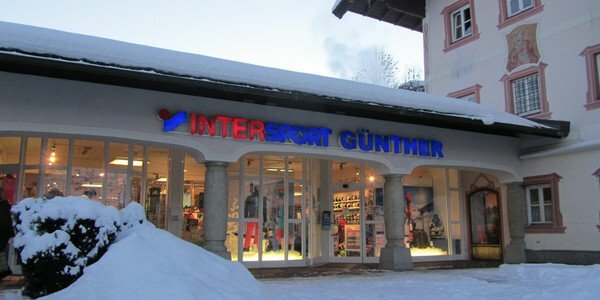 Take advantage of the special offers at the INTERSPORT Günther ski rental shop in Fieberbrunn and also receive lots of insider’s tips about the ski resort from competent staff-members from the region.